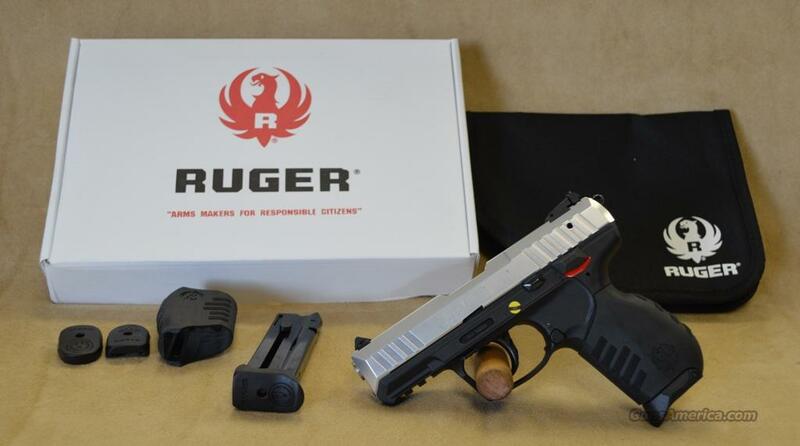 Description: Ruger SR22 Semi-automatic pistol in 22 LR Caliber. Factory New in Box. Silver Anodized Slide. Black Polymer Frame/Grip. Adjustable 3-dot sight. 2 total magazines. 10+1 capacity. 3.5" barrel. Frame Mounted Safety. MA Approved. Not CA approved.